Kylie Jenner could face legal action from a make-up artist who believes the beauty mogul has been ripping off her image ideas. Kylie Jenner could face legal action over her cosmetics line. 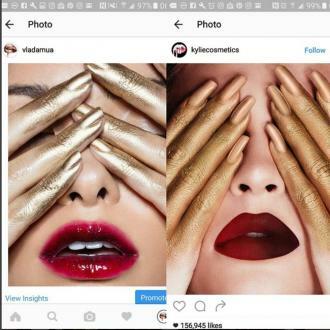 The 19-year-old reality star has been accused of ripping off the photos Vlada Haggerty uses to promote her work on social media in her holiday advertising for Kylie Cosmetics and now the Los Angeles-based make-up artist and her photographer are reportedly planning to file a lawsuit due to the similarity between the images, TMZ reports. This isn't the first time Vlada has accused the 'Keeping Up With the Kardashians' star of copying her ideas, as she slammed her last year for stealing an image of lips dripping with gold. At the time, she said she was excited to see her work being showcased by Kylie, but was upset she didn't receive a credit or even get any contact from the reality star or her team. She said: ''Crediting artists is essential, but this goes beyond that. 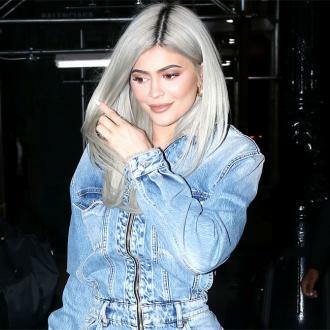 Kylie recently admitted she always dreamed of having her own store at the Topanga Westfield Mall, ahead of her pop up shop opening there next month. 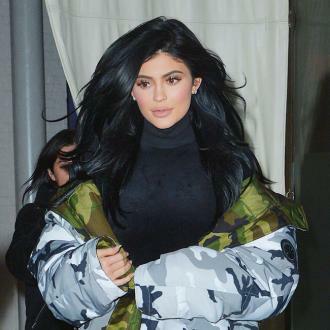 The beauty mogul - who had been working on Kylie Cosmetics for two years prior to launching her e-store earlier this year - has given a sneak peek as to what the interior will be.